The Champions/FM 1960 area is located in the northwest Houston area, off Beltway 8 near Spring, TX. Nationwide Movers a professional and committed moving company is waiting to expertly move you into your new home in any of the fine Champions/FM 1960 area subdivisions, such as:Raveneaux, Belmont Place, Greenwood Forest Estates, Memorial Northwest, Independence Grove and Northgate. Children in the Champions/FM 1960 area have the advantage of attending school in the award winning Klein Independent School District. Adults can further their education by attending Lone Star College. Some of the finest hospitals in the state of Texas are just minutes away, such as: Methodist Hospital, Woman’s Hospital of Texas and Memorial Hermann Willowbrook. At Champion Movers we know that different arrangements and precautions have to be taken into consideration for local, international, residential and commercial moves; and tailor your move accordingly. 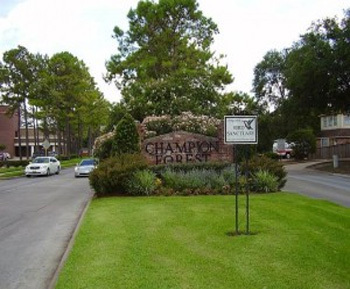 Residents of the Champions/FM 1960 area are only 17 miles away from George Bush Intercontinental Airport (IAH) and 32 miles away from Houston Hobby Airport for all their travel needs. Ready to shop ’till you drop? The Champions/FM 1960 area has numerous shops from quaint boutiques to familiar chain stores. Champion Movers a licensed moving company will bring all your picnic supplies to your new home for next outing in any of the Champions/FM 1960 area parks, such as Meyer Park and Collins Park. Ready for a great round of golf? The golf courses in the area are just waiting for you, including: Raveneaux Country Club & Golf Course and Northgate Golf Course. Residents are just minutes away from all the great attractions and events Houston has to offer, such as: Houston Livestock Show and Rodeo, Bridal Show Extravaganza, Mardi Gras Houston, Children’s Festival, International Festival, Houston Texans, Houston Astros, Houston Rockets and Houston Aeros. The Champions/FM 1960 area is waiting to welcome you into the best part of the rest of your life. Let Nationwide Movers get you there.